@Kovachut and NiRaSt thanks for the clarification! Would this count then? DestroyerR posted a message on The end of Hearthstone. Tbh I expected "META IS STALE" threads in the first week, but this one is okay too. Not disappointed. Btw, judging from those kind of threads, HS has been dying for years. In addition, would Hakkar qualify for this comp? I specifically remember seeing Varithmaras with that same name and effect somewhere on one of Fullas's videos. Do you have a link? The Varimathras I posted is several years old. 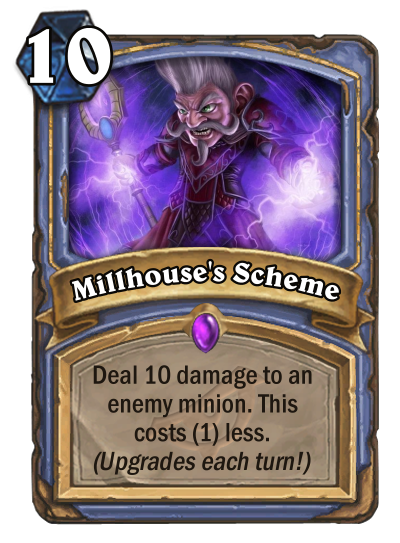 One of the ideas for Tichondrius, not Varimathras. And even so, who cares? 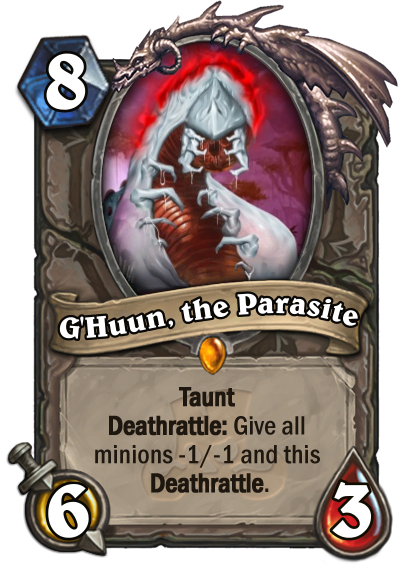 Flavor text: Never tell him that ‘parasite’ isn’t an animal. 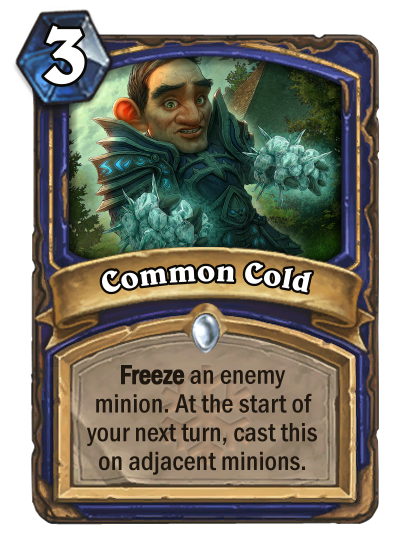 He does not like it. I was thinking the same thing. 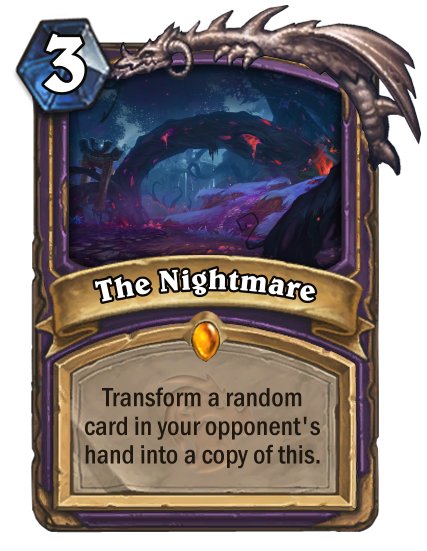 In theory the total value could be five 4/7s and one 3/6 for 8 mana. It's super slow though. The word “utter” stands out a lot... maybe Uther of the Ebon Blade?